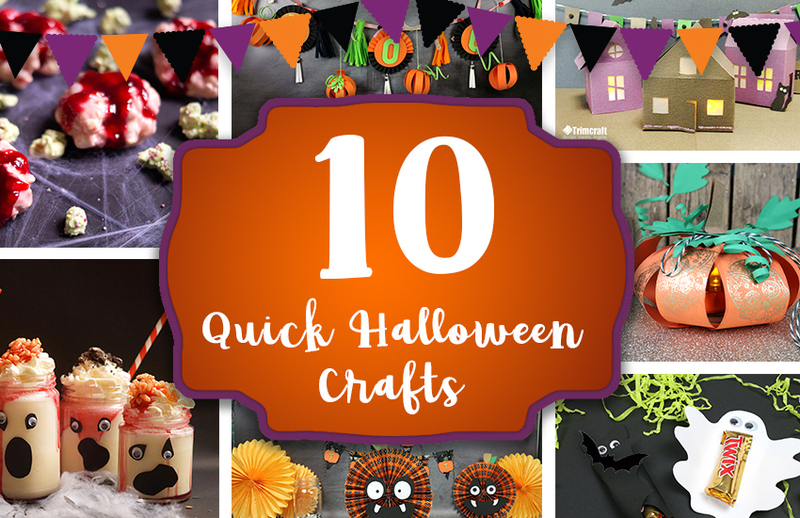 With the most spook-tacular time of the year upon us, we’ve rounded up a selection of our top 10 quick and easy Halloween crafts that you can make at home. Peer into our creepy cauldron of crafts and find our ten fearsome projects that are guaranteed to add the fright-factor to your celebrations! With Trick or Treat time approaching, why create these creepy-but-cute chocolate wrappers? These creepy-but-cute DIY chocolate wrappers are perfect for Halloween parties, celebrations favours, or for handing out to trick or treaters. Simple enough for little ones to try too, there’s also a free template on hand to make it super easy to create your own. Halloween is of course the perfect time to be cooking up a terrifying treat in the kitchen! Many of us celebrate the spookiest time of the year by throwing a party with lots of fang-tastic treats included. That’s where Elle’s Popcorn Monster Brains will come in frightfully handy… these bite sized treats will make the perfect party food and are easy enough to make that you can get your little ones involved too! These paper pumpkin decorations are so easy to create, and would look wonderful as part of your Halloween party décor! To create these, we used our 2018 Halloween free papers, and you can have fun stringing these up around your home, or linking them together to create a fright-tastic garland! Check out the post to check out some bonus makes with our free papers, too! Create your very own cute paper pumpkins with Angela Dodson’s Pumpkin Tea Light Holder tutorial! Perfect for adding your own battery-operated tea light to, these papercraft pumpkins can also be used to create an enchanting garland, table decorations, and much more! Find your free template by following the link and have fun experimenting with this pumpkin make. Add lots of fun to your Halloween party this year with your very own handmade piñata! This Frankenstein’s Monster face is cute yet creepy – and once filled with goodies, you have yourself a spook-tacular activity that doubles as party décor! It doesn’t get much creepier (or yummier) than Elle’s Halloween Raspberry and Vanilla Freakshakes! Dripping with blood and topped with crispy brains, these really are a terrifying treat for any Halloween celebration. What’s great is that these decorative jars are so easy to create too – perfect for serving your fright-tastic freakshakes in! Add a seriously spook-tacular feel to your home with this ghoulish garland! Made using a few simple materials, why not create your own eerily awesome piece of party décor that will help you to get right into the party spirit? These eerie 3D Haunted Houses will make a great activity for all of the family in the weeks leading up to the fright-tastic day itself! With a selection of free templates, you can create your own ghoulish Halloween village in no time at all. Why not pop a battery operated tea light inside for a super spooky feel? Have fun with this quick and easy DIY project and turn your spare bottle caps into fun Halloween magnets! With Trick or Treat time approaching, why not get your little ones involved and help them to create their own creepy characters? 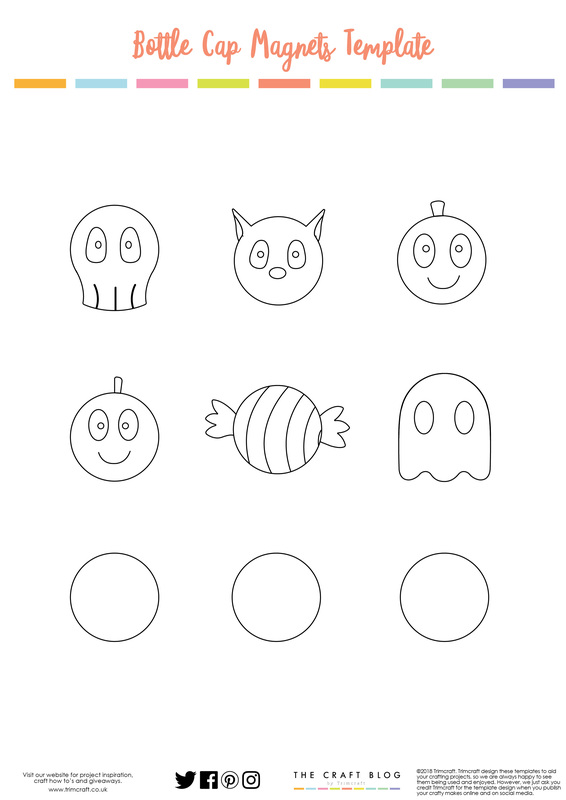 Our free template will help you to create lots of eerie designs, including a pumpkin, cat, skull, and more! Get creepy with your crafting and create these ghoulish gift boxes for your Halloween celebrations! These would make perfect party favours as they’re just the right size to fill with lots of spooky treats, or you could even pass them out to trick or treaters with gruesome goodies inside! Which of these creepy crafts is your favourite? Will you be trying any of our Halloween makes at home? Don’t forget to let us know what you think in the comments box below and to upload your spooky makes to the Inspiration area!